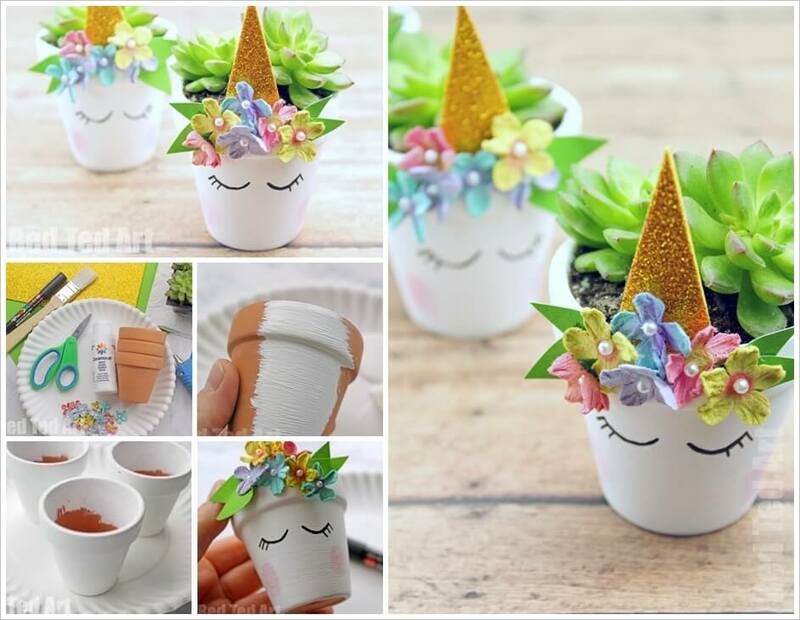 To make these cute little unicorn planters first you have to paint mini clay pots with white acrylic paint. Then with a hot glue gun embellish their front with felt flowers. Cut glitter foam triangles to create the unicorn horns. And make the ears with green cardstock or felt. Make the unicorns’ eyes with a black marker. Fill the pots with soil and plant succulents. You can use these planters to decorate your work desk or the window sill of your kitchen. They can also become adorable centerpieces for a unicorn themed party. Happy decorating!